The beautiful scripture: "King of Kings Lord of Lords...those with Him are called and chosen and faithful." (Revelation 17:10). 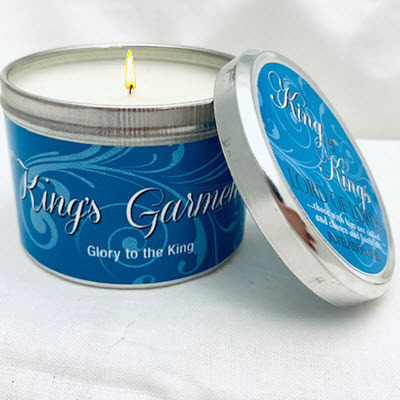 We coupled this powerful scripture verse with our new "King's Garments" fragrance to make a very unique candle.